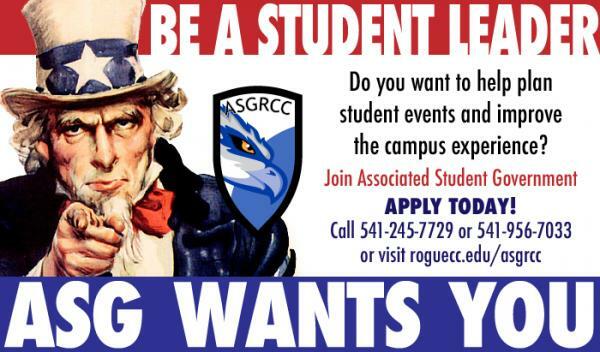 The Associated Student Government of Rogue Community College (ASGRCC) coordinates student activities and events, maintains clubs and organizations, represents the students to college administration and keeps abreast of political issues. ASGRCC also provides assistance to campus departments by helping fund academic events at the school and in the community. Their goal is to enhance the educational experience for all students. The college supports on-campus activities and political events, activity/event publicity, an end-of-term party, and student travel expenses incurred for political reasons.